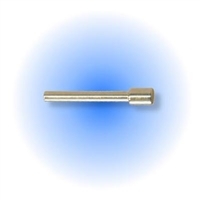 Special Z-Lock Screw Pin created specifically for the Classic RT. Tiny z-lock screw that threads into the back regulator half of the classic RT valve to properly align the valve for the body and banjo bolt. Screws are loctited into place and removal of old screw can be difficult.